on Konstruisto, a city-builder game. Today is the last day of March, a month since I started blogging. I wrote a few articles, some of them are tutorials, some are project updates. How do I make a WordPress plugin? I post progress summary for Konstruisto on Fridays, but not everybody knows what this project is. Every week I have to paste the same formula at the top. It shows in the RSS feed, it generates pingbacks to my articles and is unhandy in many other ways. Honestly, this week was quite unproductive, speaking of new features. I managed to resolve most of the problems with textures (but it’s still WIP, there are some minor artifacts). 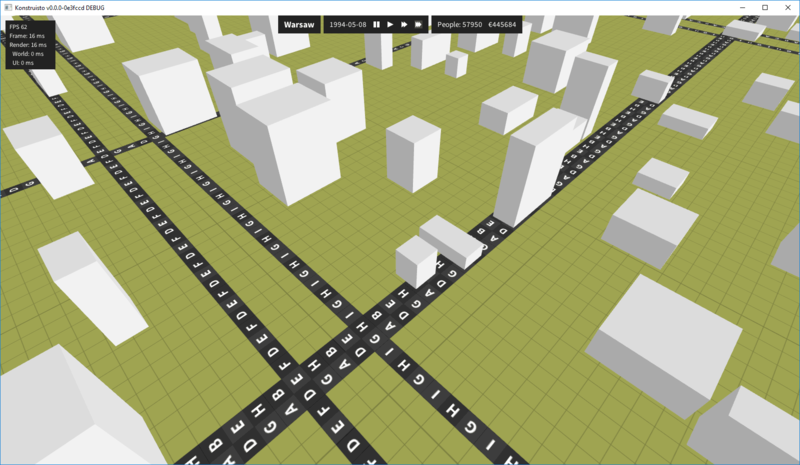 I wrote needed geometry checks for the roads; standard intersections render correctly. 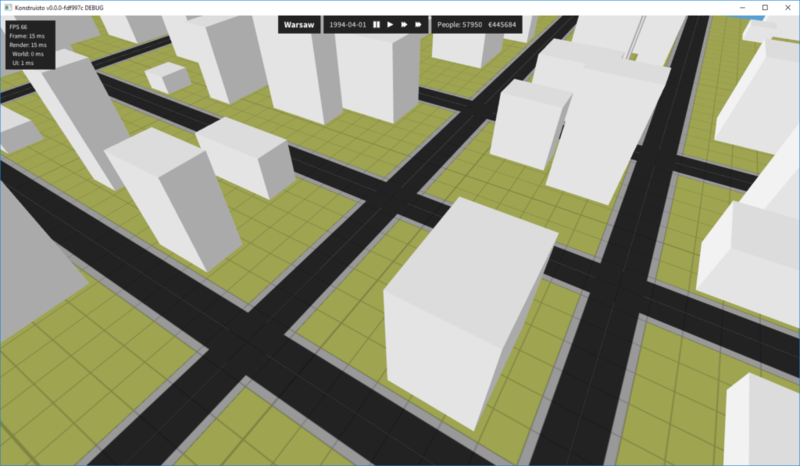 The rest of the time went for some refactoring and code cleanup necessary to paint on ground tiles. Pushed 16 commits, total 107 (over 100, yay!). Selenium is a testing tool used in web development. It emulates user behavior inside a web browser, right in front of you. It can interact with links, move the mouse and so on. As an example, we will make a script that draws a simple shape in Sketchpad. Selenium has many integrations; I will use Python and Google Chrome driver. And everything under 60 lines of code! Previous week I mentioned road implementation. I started with rendering and got stuck a bit while handling texture atlases (search for GL_TEXTURE_2D_ARRAY if you’re interested, I even may write an article about it). Roads are half-done then. I moved to easier stuff and made menu state and settings (in code so far). 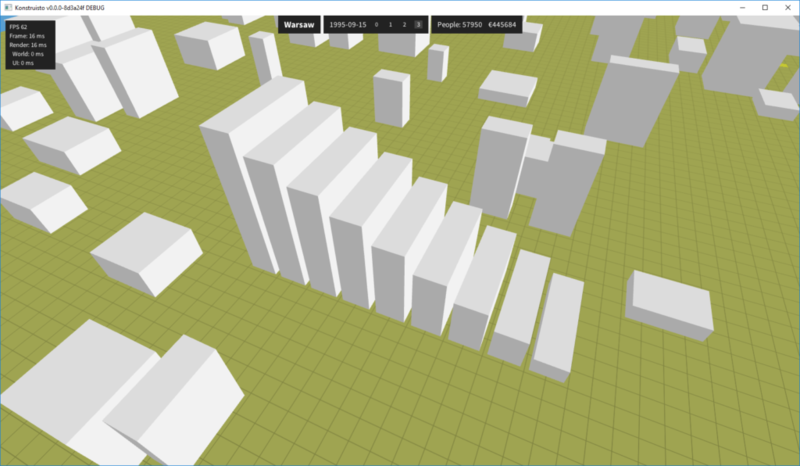 UI renders textures now; it took me quite a lot of time since I missed there is a function for loading images and wrote everything by hand at first 🙂 Use G to turn off the grid. 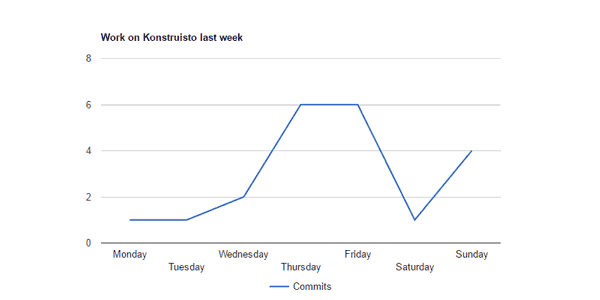 This week I pushed 21 commits (total 91). Recently I found out about great charting library and I’m astonished to see how easy it was to integrate it into a project. Google Charts is a free, pure-JS library. You embed the script, write about ten lines of code and it works. 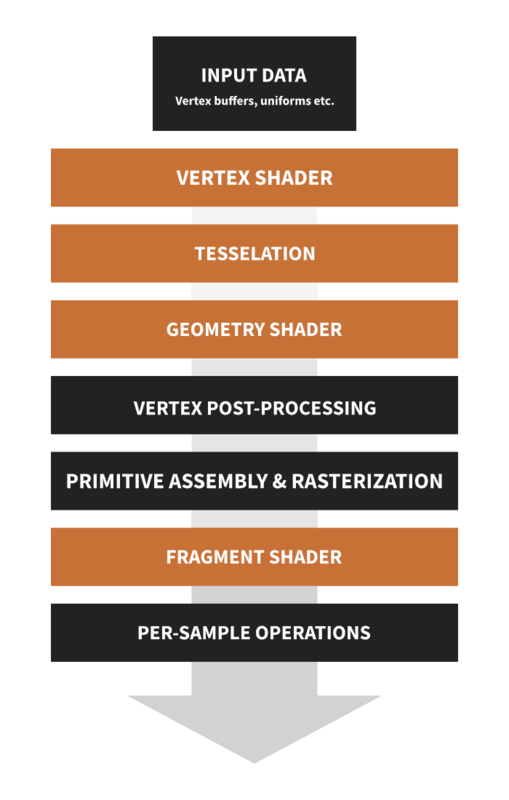 In this article, I will show basics of geometry shader – useful and easy to use an element of the rendering pipeline. Here’s a simple diagram. 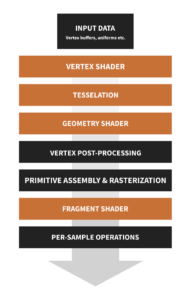 I marked with orange the parts which we can modify using shaders (click to enlarge). This week was a bit slower than previous (I pushed 24 commits, total 70) since I needed to introduce some graphical user interface. I went with NanoVG library, which lets me draw basic shapes and text. There’s a new top bar with essential information about the city. You can place buildings now. 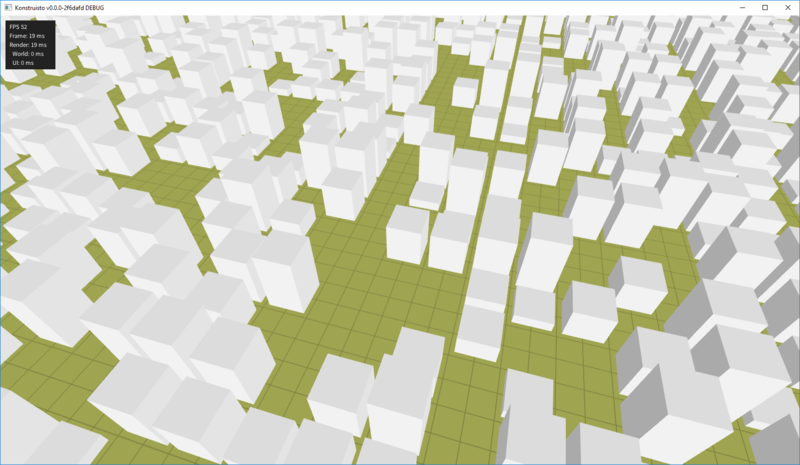 I worked a bit with geometry to make a foundation for zoning (you assign a zone, e.g. residential, and people build if you provide media, low taxes, etc.). We were placed by hand!